Did you know that the first cars were made out of wood? 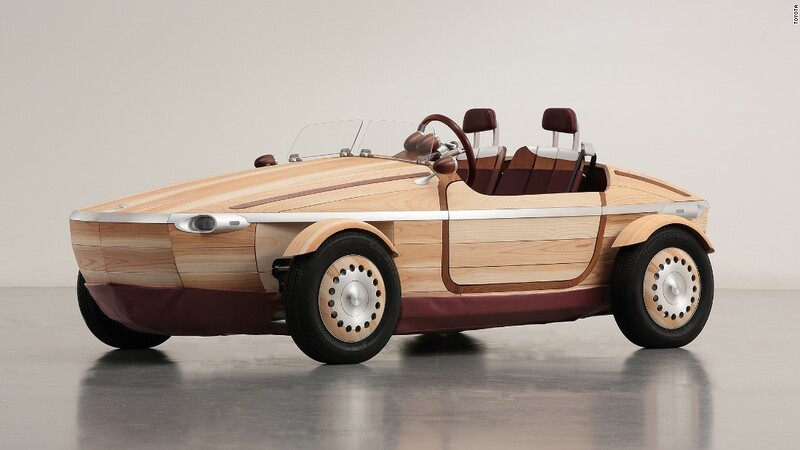 According to Autoblog, “Why would wood not be the choice material in the early automobiles, when it was well known for centuries in wagons wheels and cherished chariots of all types. When horseless carriages were converted into ‘auto-buggies’, they retained their wood frame.” The Ford Model T combined Wood and metal and we continued to evolve from there! Read more about this evolution here. Definitely a good thing we have moved far past wood cars! With new technology, vehicles are getting safer and safer everyday! It’s up to us to finish the safety job! As a result of distracted driving and the higher number of accidents, many major insurance companies have raised premium rates to cover the increase in phone-related accidents. With phone usage while driving being such a habit, we foresee this habit being extremely hard to break, which might lead us to financial stress. Read more here. We found this so cool; a small town in California started the country’s first bike lanes. The first advocate was a school chancellor Emil Mrak. Mrak was determined to encourage cycling to avoid an influx of cars. “I have asked our architects to plan for a bicycle-riding, tree-lined campus,” he said in 1961, as an expanded UCD campus was being surveyed. “Bike paths and tunnels were built in some neighborhoods before those neighborhoods were actually built out,” says current Davis Mayor Robb Davis. Thank you Davis, California for being the first to put in a bike lane and promote Bike Safety in 1967! Read more here. In a AAA survey, 80% of 200 people surveyed claimed to wear helmets while riding their motorcycle, but in another report that number looks like it’s closer to right under 50%.